Mortgage and Finance News: (SUGAR LAND, Texas) David Fleig, CEO of MorVest Capital, LLC, a financial services advisory firm specializing in mortgage banking liquidity and capital solutions, announces the addition of Managing Director Larry Charbonneau. Mortgage and Finance News: (NEWPORT BEACH, Calif.) NotaryCam(R), the pioneering leader in online notarization and original provider of mortgage eClosing solutions, today announced that it has been included on the sixth annual HW Tech100(TM) list published by housing and mortgage industry trade magazine HousingWire. This marks NotaryCam's debut on the HW Tech100 list. Mortgage and Finance News: (MACON, Ga.) LBA Ware(TM), provider of the leading automated compensation and sales performance management platform for mortgage lenders, today announced that it has been named to HousingWire's 2019 TECH100(TM) list of the housing industry's most impactful technologies. This marks the fifth consecutive year LBA Ware has been named to the list. Mortgage and Finance News: (SAN FRANCISCO, Calif.) San Francisco Personal Injury Attorneys, Rahman Law PC, are pleased to announce their repeat sponsorship of Walk San Francisco's annual Walk to Work Day. The event will take place Wednesday, April 10, 2019 between 7:30 a.m. and 10 a.m. Last year's event was the biggest ever. Mortgage and Finance News: (SAN DIEGO, Calif.) Bank of Southern California, N.A. (OTC Pink: BCAL / OTCMKTS:BCA), a community business bank headquartered in San Diego, Calif., announced today that it has extended a loan facility to the NTC Foundation, a San Diego-based non-profit organization focused on creating a destination for arts and culture at the former Naval Training Center in San Diego. Mortgage and Finance News: (PROVO, Utah) Simplifile, a leading provider of real estate document collaboration and recording technologies for lenders, settlement agents, and counties, announced that it has been included on the sixth annual HW Tech100(TM) list published by housing and mortgage industry trade magazine HousingWire. Mortgage and Finance News: (SALT LAKE CITY, Utah) Mortgage document preparation vendor International Document Services, Inc. (IDS), announced it has been named to the 2019 HW TECH100(TM) list published by mortgage industry trade magazine HousingWire. IDS was part of the inaugural TECH100 list, and 2019 marks the fifth year IDS has made the list. 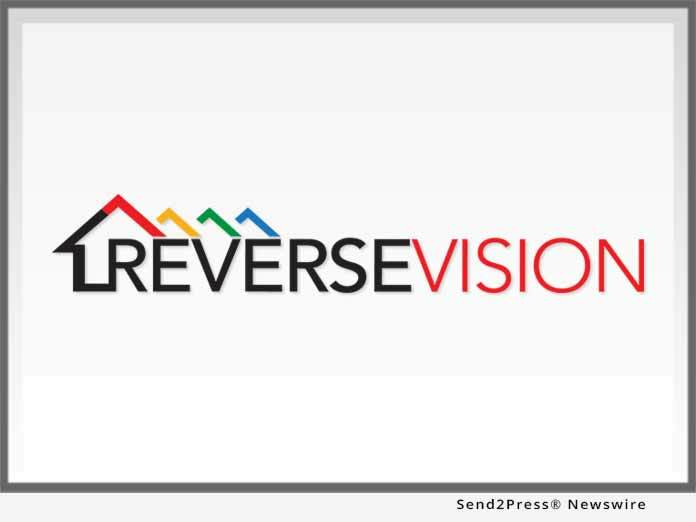 Mortgage and Finance News: (SAN DIEGO, Calif.) ReverseVision, the leading provider of technology and training for the Home Equity Conversion Mortgage (HECM) industry, today announced it has been named to HousingWire (HW) Magazine's Tech100 list of innovative housing technology companies for a fourth time. ReverseVision was previously named a HW Tech100 honoree in 2015, 2017 and 2018. Mortgage and Finance News: (FORT MYERS, Fla.) EPIC Insurance Brokers and Consultants, a retail property, casualty insurance brokerage and employee benefits consultant, announced today that it will sponsor the International Association of Interviewers (IAI) Elite Training Day on Wednesday, April 3 and Thursday, April 4, 2019 at Chico's Headquarters in Fort Myers, Fla.
Mortgage and Finance News: (TORRANCE, Calif.) DocMagic, Inc., the premier provider of dynamic loan document preparation, automated regulatory compliance and comprehensive eMortgage solutions, announced that HousingWire has honored the company with the HW TECH100(tm) award for the sixth year in a row. Mortgage and Finance News: (EDMOND, Okla.) NEXT Mortgage Events LLC, creator of the NEXT women's mortgage tech summit, has announced that it was named a winner of the Innovations Award from PROGRESS in Lending Association. Mortgage and Finance News: (ATLANTA, Ga.) EPIC Insurance Brokers and Consultants, a retail property, casualty insurance brokerage and employee benefits consultant, today announced the addition of Vanessa Smiley who will assume a key role in EPIC's growing Integrated Risk Solutions Consulting Practice as Senior Vice President, Operations. Mortgage and Finance News: (ATLANTA, Ga.) EPIC Insurance Brokers and Consultants, a retail property, casualty insurance brokerage and employee benefits consultant, today announced the addition of Chris Knight who will assume a key role in EPIC's growing Integrated Risk Solutions Consulting Practice as Senior Vice President, Analytics and Innovation. Mortgage and Finance News: (BOISE, Idaho) Robert Farias loves real estate, It's his passion. He enjoys seeing his clients start new chapters in their lives, whether they are buying or selling a home. And while every transaction has the client's satisfaction at the center, he also takes pleasure in donating $500 from the sale to a local veteran organization. Farias is the founder of 22-0 Real Estate at Keller Williams Realty Boise. Mortgage and Finance News: (SAN DIEGO, Calif.) Bank of Southern California, N.A. (OTC Pink: BCAL / OTCMKTS:BCAL), a community business bank headquartered in San Diego, has announced the appointment of Ashley Lopez as Branch Managing Director for the company's Carlsbad office. She will be responsible for expanding Bank of Southern California's market presence by actively seeking new business banking relationships with a focus on San Diego's North County communities. Mortgage and Finance News: (ATLANTA, Ga.) Debra Johnston of Berkshire Hathaway Home Services Georgia Properties lists an exceptional and rare private-retreat estate located just north of Buckhead. Tucked away amongst a canopy of evergreen gardens and trees, you'll find 75 Finch Forest Trail offered for $3.95 million. Mortgage and Finance News: (OSCEOLA, Iowa) Spring is finally here and with it comes the start of the building season. As part of an ongoing housing development initiative, Clarke County Development Corporation (CCDC) has been working with the city of Osceola to offer home builders and developers shovel-ready sites at no cost for residential projects. Mortgage and Finance News: (COLUMBUS, Ohio) Digital insurance agency Matic announced today that it has partnered with Home Point Financial Corporation ("Home Point"), a national, mortgage originator and servicer, to help its mortgage servicing customers find competitively priced homeowners insurance. Mortgage and Finance News: (ATHENS, Ga.) FormFree(R) announced today that it has joined the Financial Data Exchange (FDX), a non-profit group that promotes information sharing and security standards for the financial sector. A leading provider of digital asset, income and employment verification, FormFree brings over a decade of experience in protecting the safety and integrity of sensitive consumer data. Mortgage and Finance News: (ADDISON, Texas) Mid America Mortgage, Inc. (Mid America) announced today that Mid America Chief Operating Officer Kara Lamphere was one of four mortgage technology innovators honored by the Mortgage Bankers Association (MBA) as a 2019 MBA Insights Tech All-Star. The award, now in its 18th year, recognizes "industry leaders who have made outstanding contributions in mortgage technology." Mortgage and Finance News: (ATLANTA, Ga.) EPIC Insurance Brokers and Consultants, a retail property, casualty insurance brokerage and employee benefits consultant, today announced the addition of Kevin Grady and Christian Florence, both recognized experts in utilizing rigorous data analyses, benchmarking, and key performance metrics to reduce the total cost of risk. 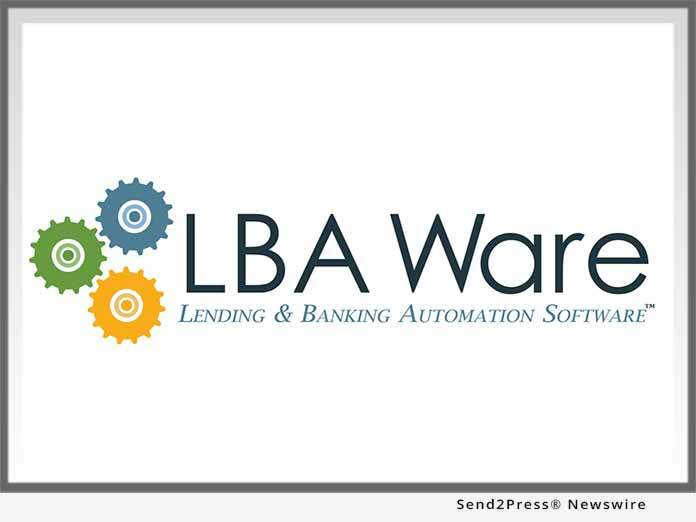 Mortgage and Finance News: (MACON, Ga.) LBA Ware(TM), provider of the leading automated compensation and sales performance management platform for mortgage lenders, today announced that company Founder and CEO Lori Brewer has been named a winner of the 2019 MBA Insights Tech All-Star award. Brewer accepted her award today during the opening session of the Mortgage Bankers Association's Technology Solutions Conference & Expo 2019 in Dallas. Mortgage and Finance News: (DALLAS, Texas) MBA's Technology Solutions Conference & Expo: Global DMS, a leading provider of cloud-based valuation management software, today announced the official rollout of SnapVal(TM), an automated solution that utilizes the property address to return a guaranteed price on any residential appraisal in the U.S.
Mortgage and Finance News: (PROVO, Utah) Simplifile, a leading provider of real estate document collaboration and recording technologies for lenders, settlement agents and counties, today announced that St. Mary's County, Md., has adopted its e-recording service. Mortgage and Finance News: (SALT LAKE CITY, Utah) Mortgage document preparation vendor International Document Services, Inc. (IDS), announced it has augmented its flagship doc prep platform idsDoc to include full eClosing capabilities through a new service called ClickToClose. Mortgage and Finance News: (NEWPORT BEACH, Calif.) NotaryCam, the leader in online notarization solutions, today announced that eMortgage pioneer Mid America Mortgage is now using the firm's integration with DocMagic, Inc., the premier provider of fully-compliant loan document preparation, regulatory compliance and comprehensive eMortgage services, to conduct remote online notarizations (RONs) through DocMagic's Total eClose platform. Mortgage and Finance News: (WEST PALM BEACH, Fla.) OpenClose(R), an industry-leading multi-channel loan origination system (LOS) and mortgage fintech provider, announced that it is has scheduled a May release for the official rollout of its much anticipated digital mortgage point-of-sale (POS) solution, ConsumerAssist(TM) Digital POS. Mortgage and Finance News: (SOUTHFIELD, Mich.) The Greater Metropolitan Association of REALTORS(R) has undertaken an incredible 5-year journey called 5 Years, 5 Dogs, 5 Lives saved. In their quest to assist Michigan Veterans, struggling with disabilities and/or mobility issues, The Greater Metropolitan Association of REALTORS [GMAR] has partnered with Guardian Angels Medical Service Dogs. Mortgage and Finance News: (SAN DIEGO, Calif.) Legacy Global Development today announced the launch of new Bungalows at its luxurious Orchid Bay, Belize property. Their Bungalows make owning a home in Belize accessible to a wider pool of potential buyers, as they offer the same quality as Orchid Bay's other homes at an incredible value. Additionally, Legacy is offering a financing option to the first six families who purchase a Bungalow, through its first-ever Paradise Payment Program. Mortgage and Finance News: (EDMOND, Okla.) NEXT Mortgage Events LLC, creator of the NEXT women's mortgage tech summit, has announced its summer 2019 event dates. The event, hashtagged #NEXTSummer19, will take place Aug. 26-27, 2019 at The Gwen Hotel in Chicago. Registration will open to the public in April 2019.